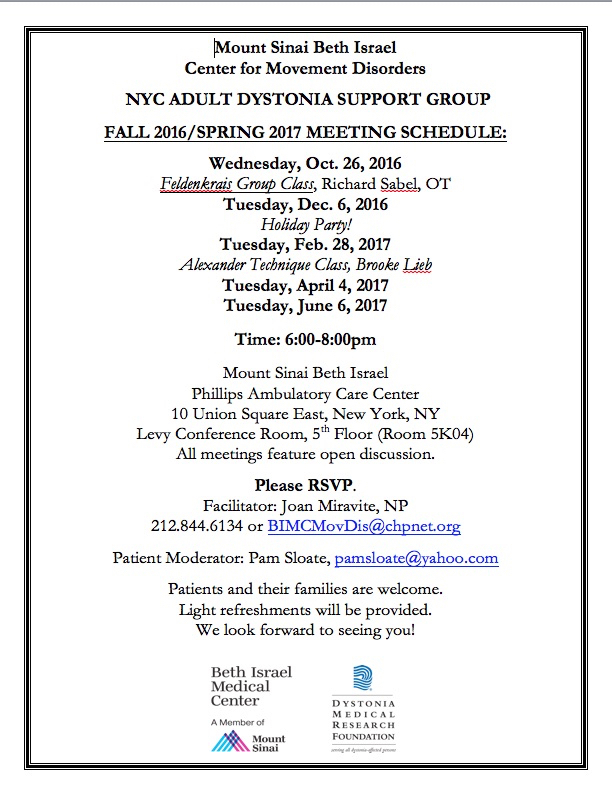 The next meeting of the Adult Dystonia Support Group in New York City is Tues., Dec. 6, 2016, from 6-8pm at Mount Sinai Beth Israel, 10 Union Square East, 5th Fl. Conference Room #5K04. Our group is affiliated with the Dystonia Medical Research Foundation. The December 6 meeting is our Holiday Party and light refreshments will be served. Individuals with all forms of Dystonia and their families are welcome.